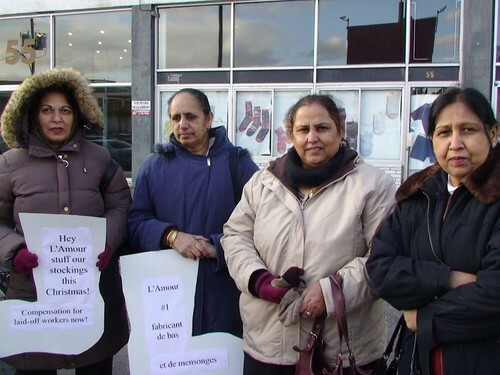 Justice for L’Amour textile workers! Justice for L’Amour textile workers!!! in front of the Labour relations board to demand justice and respect. This fight is now in its 10th month in the courts and in the public. for proper compensation from the apparel company, L’Amour Inc.
them had worked there for over 20 years. based in Tarrytown, New York. their daily injustices in the factory. trapped and burned alive in the case of an industrial fire. results for the workers’ conditions, welfare and job security.